Scrapcat Cards by Linda: The Girls! We new it was going to happen so we wired the tree to the window. 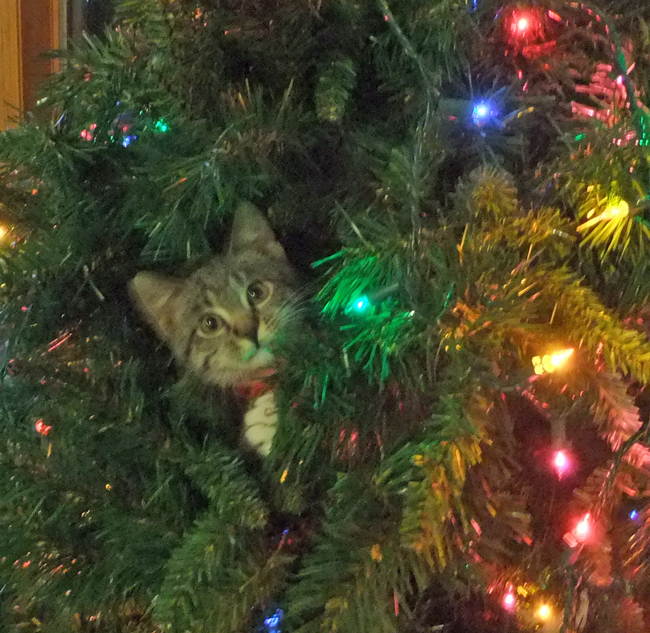 Sophie got right in when we were putting the lights on. Then today I noticed the tree was tilting a little to the left and shaking a bit. 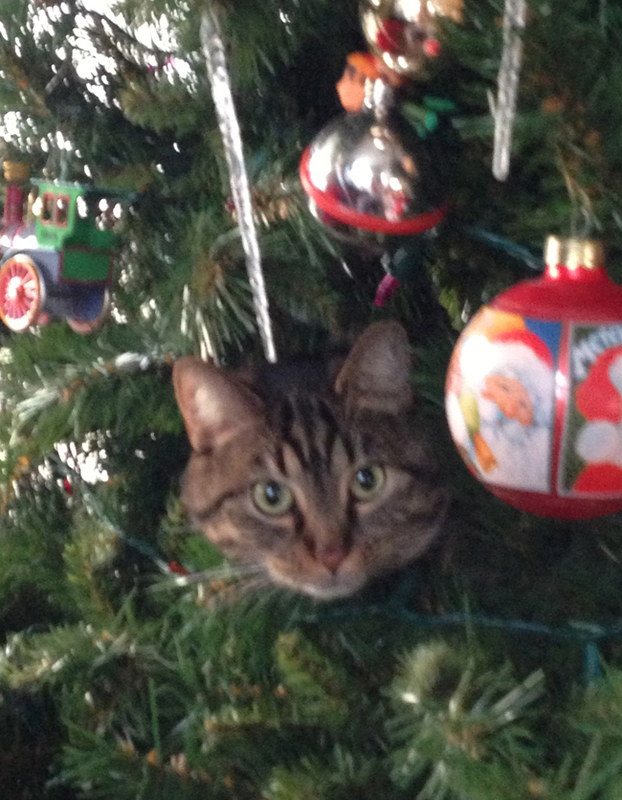 I said Sophie get out of the tree but when I went over guess who was looking at me? Lucy wasn't happy when I lifted her out of there . Here is how I saw them when I looked up from my breakfast today. Oh my gosh, they ARE the cutest! I miss my PUmpkin so much! She never climbed in the tree but she did like to lay under it! So much fun....I see Sophie has a little bell on her collar? Very festive! OMYGOSH!! They are just ADORABLE!!!!!! OMG they are so cute lol typical cats get right amongst it!! Naughty Naughty but yet oh so cute. Have a wonderful Weekend. 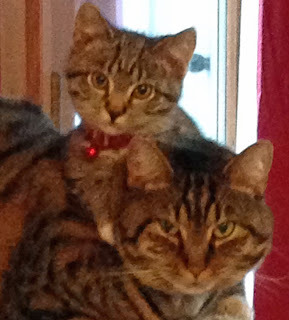 Oh Fabulous - aren't they just the 2 naughtiest kitties :-) They better watch out or Santa Kitty won't come to them !! I love these photos, so cute. Our cat just likes to lay under the tree, but then she is about 15 yrs old. Hi Linda I hope that you had a wonderful Christmas, I am so glad that you received the card I sent you, I totally love these pictures they are both so beautiful.